Just as testing is an important part of the system development, the test software package is an important part of the project software architecture. In our example, test management is handled by TestRail (Gurock Software GMBH). The general schema for TestRail is shown in Figure 1. A Test Suite is composed of a set of Test Cases, which contain a description of a method for testing a specific aspect of the system. When all or part of a Test Suite is carried out on the system at some stage in its development, the result is a Test Run, composed of individual Tests with a result of pass, fail, blocked or untested. An example of a Test Run is shown in Figure 2 in its web browser interface. There can be multiple Test Runs of each Test Suite, just as there can be multiple Tests of each Test Case. Test Runs are also associated with Milestones, targets for a particular stage of system development, and can track progress toward achieving that Milestone. The structure of the Syndeia connections to TestRail will depend on the needs and workflow of the project. A possible example is shown in Figure 3, where three separate sets of connections to TestRail elements are supported. Reference connections from SysML Testcase to TestRail Test Case – We have chosen to create SysML test cases connected to the SysML Technical Requirements by a <<verify>> relationship, then link the testcases. Alternatively, we could have linked the SysML requirements directly to the TestRail Test Cases. This would have reduced the number of elements, but would not have allowed us to track <<verify >> within the SysML model. 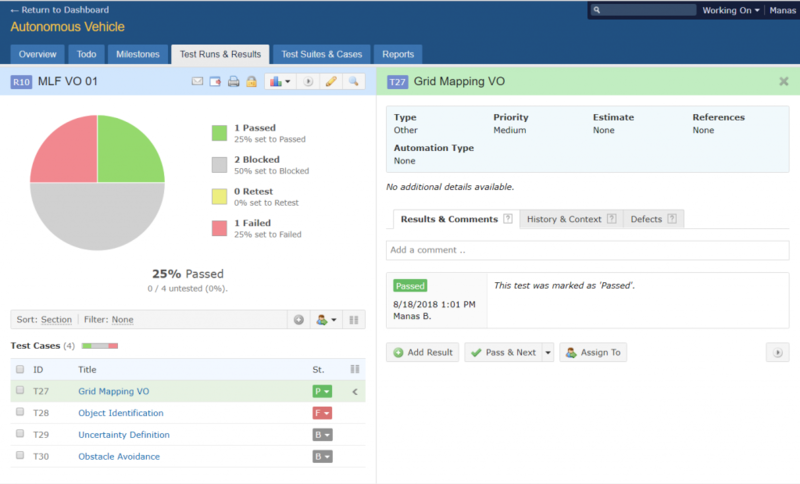 Reference connections from JIRA Story to TestRail Test – We have chosen JIRA as our project management tool. 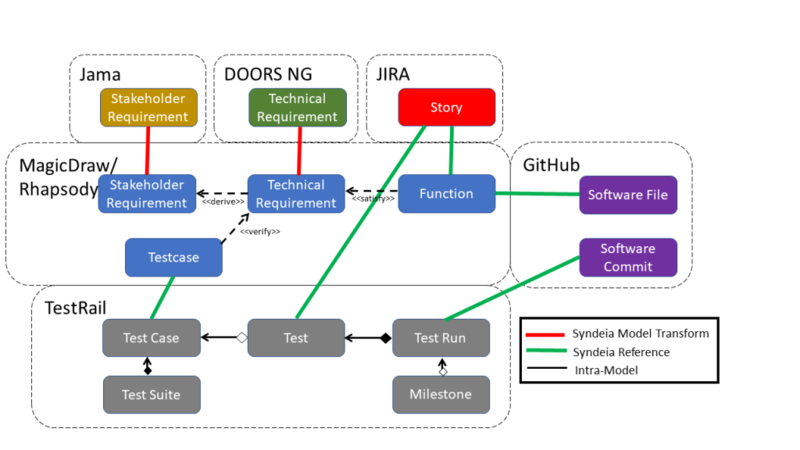 By creating connections from a JIRA Story (a collection of issues) to individual tests as they are completed, the JIRA user has direct access to the latest test results relevant to a particular aspect of the project. Reference connections from GitHub Commit to TestRail TestRun – After a new version of the system software is committed to GitHub, it may be tested and its results compiled as a specific Test Run in TestRail. Syndeia provides a traceable link between the software commit and the testing results for that commit, accessible from either end of the connection. In Part 9 of this series, we will look at system structure and analysis, federating the architecture model in SysML to PLM and simulation tools. The final part will demonstrate how graphs and pattern matching query languages provide efficient access to even very large system models. 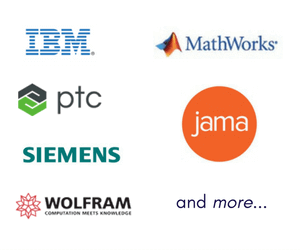 The SysML models in MagicDraw and IBM Rhapsody will be made available for download with Part 10.